With spectacular back country all around the city, Horseriding in Queenstown is the perfect way to slow the pace. Drink in some of New Zealand's most beautiful landscape, and trot your way around the South Island's stunning back garden. Queenstown Horseriding is the antithesis of all those high-octane adventures that most people come here for. To saddle up and get trekking through the serene woodlands, jaw-dropping cliff tops, and wide, open spaces of the back country, is something you'll never forget. Glenorchy has some good riding available and is a location to embark on a great Lord of the Rings trek, to some of the locations used in the film. 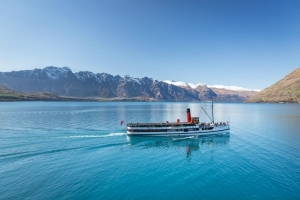 Other treks let you you ride in the foothills of the Remarkables, Walter Peak and Ben Lomond. Your options range from short 90-min treks to overnight expeditions.